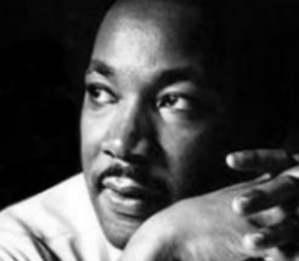 In observance of The Reverend Dr. Martin Luther King Jr.’s birthday on Monday, January 21, MetroNorth Railroad will operate on a special schedule. Metro-North will operate on an enhanced Saturday schedule that includes 40 additional trains. The enhanced Saturday service includes 21 extra trains on the Harlem Line, including two additional Wassaic connections, 3 Hudson Line extras, and 13 extra New Haven Line trains offering branch connections. Also, on the Harlem Line, all 27 Saturday trains that normally originate and terminate at Crestwood are extended to and from North White Plains. For West of Hudson customers, there will be 3 additional trains on the Port Jervis Line. Off-peak fares apply all day. The extra Hudson, Harlem and New Haven trains’ departure times are included in the weekend section of the current Metro-North timetables, dated September 30, 2018, and shaded with notes indicating that they will operate on January 21. The timetables are available at stations or online at Metro-North’s website at www.mta.info/mnr by accessing the schedules link, where one can access for full timetables for each line or select desired travel times and destination. The extra Port Jervis Line service is reflected in the weekend section of the current Port Jervis/Pascack Valley Lines schedule, dated October 14, 2018.